If you’re shopping for a new Android smartphone and you don’t want to spend too much, then you’re spoiled for choice right now. There are lots of attention-worthy options on the market that won’t break the bank. The Moto G6 is probably the best known, but the Honor 8X has an awful lot to offer, and the Nokia 7.1 is an exciting new contender. We decided to pit these three relatively cheap phones against each other to find out which is best in various categories. In the end, there can be only one winner. These three phones are very different in the processor department. The Moto G6 trails the pack with a Qualcomm Snapdragon 450, the Honor 8X is faster with Huawei’s Kirin 710 inside, but the Qualcomm Snapdragon 636 in the Nokia 7.1 is the best performer. The G6 offers 32GB of storage with 3GB of RAM, or 64GB of storage with 4GB of RAM — we definitely recommend the slightly more expensive, higher capacity model if you can get it. Honor’s 8X is backed by 4GB of RAM with 64GB of storage or 6GB of RAM with a whopping 128GB of storage. The Nokia 7.1 has 4GB of RAM and 64GB of storage. All three have a MicroSD card slot for expansion. 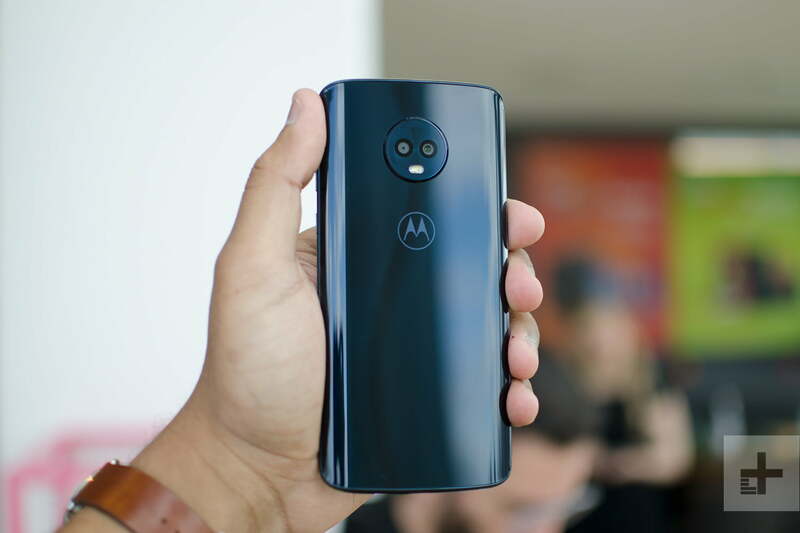 The only one we have minor qualms about in the performance department is the lowest capacity Moto G6, which isn’t as smooth as we’d like when switching between apps. All three of these phones have decent sized batteries in them that will see you through a normal day with change. The Honor 8X has the biggest battery by a distance, but it also has a much bigger display, so we expect that to balance out. We’re pleased to see fast charging support out of the box for the Moto G6 and Nokia 7.1, but the Honor 8X loses points here. Sadly, wireless charging hasn’t filtered down to budget phones yet. A glance at these phones is enough to make you realize how far budget phone design has come in the last couple of years. We’re seeing design trends like glass backs, metal frames, and highlights, and shrinking bezels reach well beyond the top tier now. It used to be easy to pick the budget phone out of a lineup, but that’s no longer the case. The Moto G6 is the oldest phone here and it shows. We’ve never been keen on the big, signature round camera module on the back and it still has sizable bezels with a fingerprint sensor on the front. Both Nokia and Honor have shrunk the bezels right down, embraced the notch, and moved the fingerprint sensor onto the back. 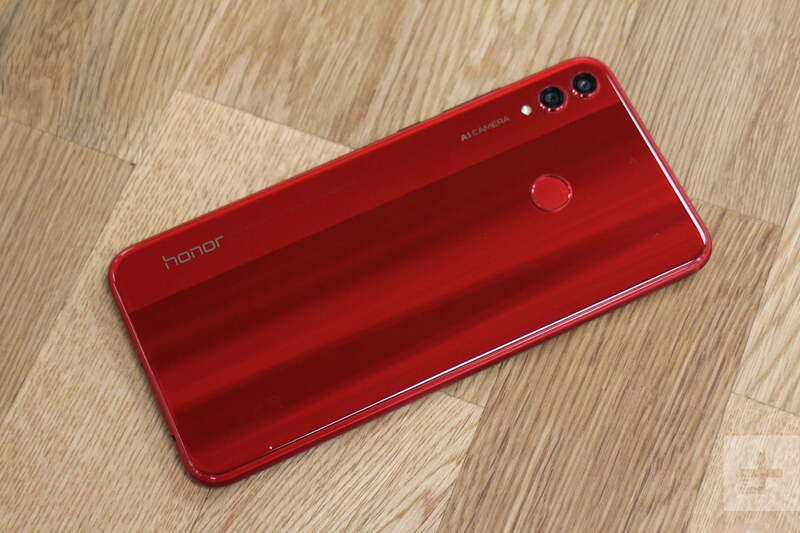 We’re fans of the bright red finish on the Honor 8X, which dances in the light, and it looks nice in blue, too, but it is important to note that this is a very big phone that can be tricky to manage one-handed. The Nokia 7.1 has adopted the notch, but that allows for a relatively large screen in a compact device and we love the copper highlights in the white “steel” version. Both the Honor 8X and the Nokia 7.1 are beautiful budget phones, but Nokia edges the win. While the Honor 8X wins on size, it also has the least sharp display here, but the quality is good. The Moto G6 is a decent middle ground, though we did feel it lacked brightness during our testing. The Nokia 7.1 runs away with this category. The 5.8-inch PureDisplay in the Nokia 7.1 has a wide 19:9 aspect ratio and support for HDR10, which is a real rarity in budget phones. It even upscales standard definition content and adjusts, not just brightness, but also contrast to match your environment and stay legible. If size is the most important thing to you, then the Honor 8X is going to be your pick, but the best display here belongs to the Nokia 7.1. Another trend that has filtered down to budget phones is dual lens cameras. The Moto G6 pairs a 12-megapixel lens with a 5-megapixel lens, as does the Nokia 7.1. Both also have 8-megapixel front-facing cameras. The Honor 8X is a little different, pairing a 20-megapixel and 2-megapixel lens on the back and boasting a 16-megapixel selfie-camera. The adoption of dual lenses allows for a better bokeh effect, where your subject is in sharp relief and the background is blurred. All three offer support for HDR, but the Zeiss optics and speedy phase detection autofocus in the Nokia 7.1, give it an edge. You can also take shots with the front-facing and rear cameras simultaneously with “bothie” mode on the Nokia. The Honor 8X is inconsistent, but when it nails a shot it does really well and it offers good bokeh, slow-motion video, and a night mode for low-light shots. Both are generally better than the Moto G6, but we need more time with the Nokia 7.1 to decide whether it’s better than the Honor 8X. We used to appreciate the extras that Motorola added to its phones, and it tended to exercise a light touch in the past, but with the Moto G6 we saw more bloatware creep in on top of Android 8.0 Oreo and updates have begun to slow under Lenovo’s watch. The Honor 8X comes with the slightly newer Android 8.1 Oreo, but it has the EMUI on top, which can take some getting used to. The Nokia 7.1 is an Android One phone, which means it runs stock Android as Google intended. It is launching with Oreo, but Android 9.0 Pie update is scheduled for the end of November and it’s guaranteed to get monthly security updates for at least three years and version updates for at least two years. We like Moto Actions on the Moto G6, which offers some useful gesture shortcuts such as the ability to turn the phone over to mute it. The Honor 8X has a handy comfort mode that reduces blue light from the screen, which is ideal when you’re reading in bed. There are also A.I. options in the camera, though we’re not convinced that the AI always improves shots. 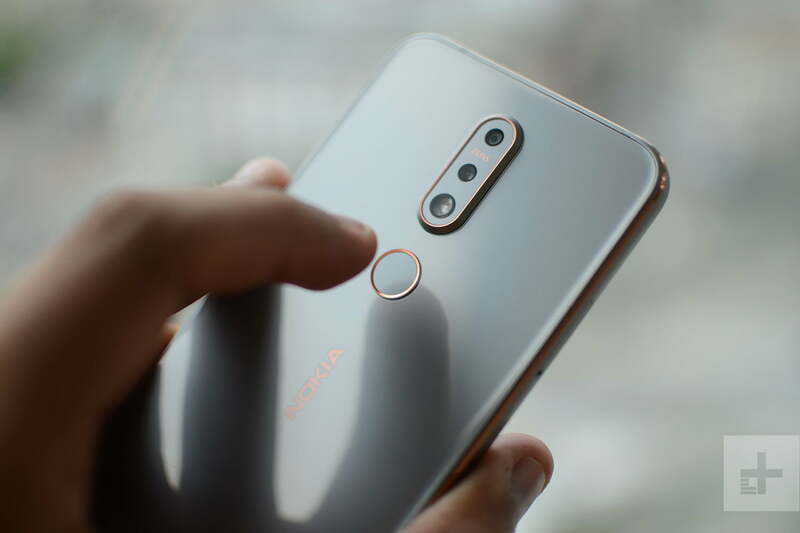 The Nokia 7.1 is mercifully free of gimmickry and bloatware, with the HDR display taking top billing as a standout feature that should attract to you to this phone. The base model of the Moto G6 is a very reasonable $250. We’re not sure about the price for the Honor 8X as it has yet to get a U.S. or European release, though based on prices elsewhere we think it will be between $200 and $280. If you import there might be some other costs to pay. The Nokia 7.1 is a bit more expensive at $350, but it’s widely available at Best Buy stores and from a number of online retailers. It has the best design, the best display, the fastest performance, and offers the best software experience: Picking the Nokia 7.1 as our winner is easy, but it also costs significantly more than the Moto G6 and the Honor 8X. The good news here is that all three are decent phones that represent great value for money. The days where Moto’s G series ruled the budget roost are gone, because we’d place it last here, though if you live outside the U.S. and can get your hands on a Moto G6 Plus, it’s a better match for these contenders.